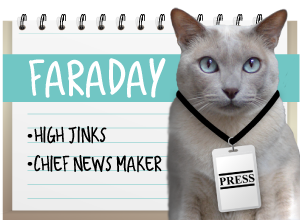 When last we left you, Faraday had decided that everykitty in this house needed to be as fit as he is. 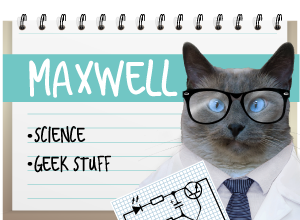 So he ordered a Pawbo+ Interactive Pet Camera, complete with a Laser Pointer Game (and way cool treat dispenser, but we digress) to get Maxie up and running. The interface is the easiest of any wireless camera I've yet to try out. It immediately found my network, prompted me for the password, and - done. And it reconnects automatically when I move it from room to room and plug it back in. In my case, it's a Google Drive account, but it also interfaces with Dropbox. Downloading video clips is a breeze, and you don't need any fancy video app to play the clips - I tested them and they played fine with QuickTime. This is nice, since I've heard other brands (none that I've ever used, though - so this is hearsay) require a cloud subscription for a fee, to access the footage. This shiny new addition to our home comes complete with red dot and treat dispenser! 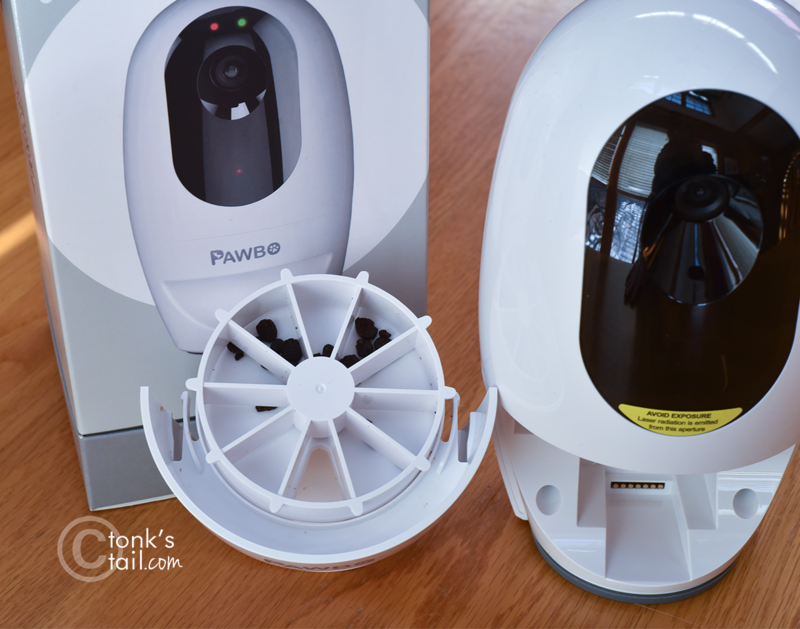 To be honest, about the only feature I can think of that the Pawbo+ camera doesn't have is the ability to pan and tilt. I'm not sure how much that would add to the final cost of the camera, but that's a feature I really enjoy, so I'd be interested in that addition. The camera's not cheap - it retails for $199 - so if you're in it for that much and a pan/tilt feature was just an incremental cost, I'd want that on future models. And of course, there's the Red Dot. We can confirm the treat dispenser works. Very well, indeed. Allie: Wait. Is that a treat dispenser I spy???? Want to see how well it works? Faraday: Remember, Allie. I'm in control of the remote, so you only get treats when I say so. And I say you have to exercise first to earn them. 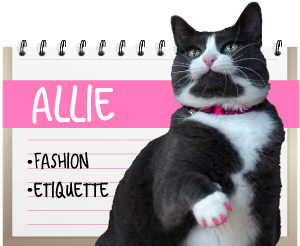 Allie: You are such a brat. Maxwell: Whewww, whatta workout. I'm beat. Allie: Really, Max? Really? You didn't even break a sweat. That's just a play for sympathy, and - newsflash - no one's falling for it. Maxwell: Well in that case, I'll just head on over to my lounger ... unless you plan to push that treat button again? Faraday: (yelling from off screen) You gotta EARN those, Maxie. Now drop and give me fifty! Maxwell: That's exactly what I plan to do: drop into my lounger and give you a good fifty minutes of snooze time, starting .... NOW. 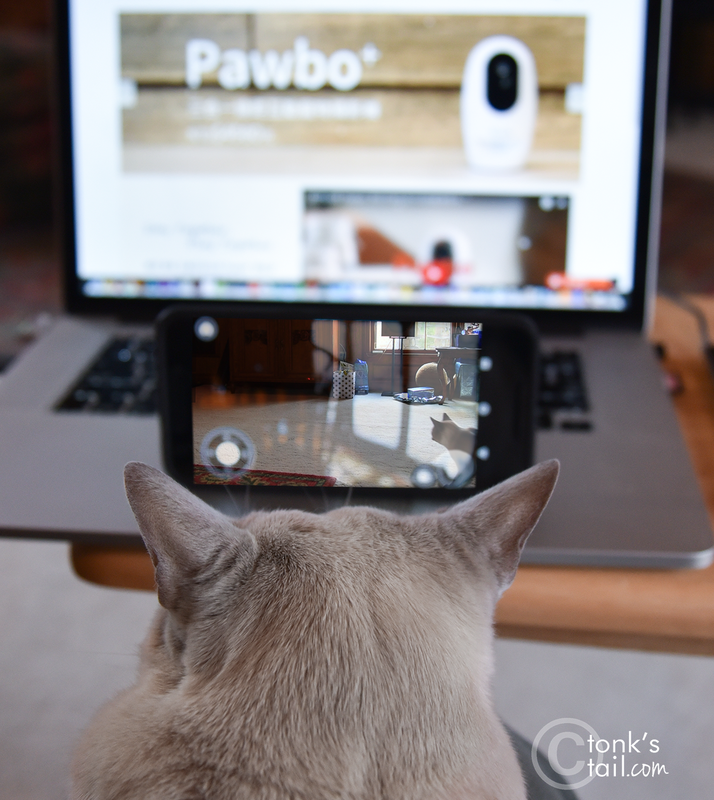 This post is sponsored by Pawbo+ Interactive Pet Camera. We received this product for review at no charge. We also received a fee for writing this review. Receiving the free product and the fee did not influence our review in any way. All sponsored posts will always reflect our honest and unbiased opinions and feature products and information we feel is relevant to our readers. Now that is a fancy toy!!! That looks mighty interesting to me! That's my kinda machine pal., It's enough of a work out. you really don't want to overdo in one day you know - so take it slow and easy. Oh my - I can only imagine what would happen around here with the 5 Farm cats. OY! You are just too adorable in your glasses...you look almost as smart as me. Sure seems like a fun camera, but we would all fight over the red dot here, so we have to be careful with these things if the referee is not at home. This looks like a cool toy. It's especially interesting for the head peep that videos from it save to your cloud account. Fun for kitties and easy for humans is a winning combination. Allie, your looks of disdain are just priceless. What a fun gadget! Don't work so hard- you will wear yourself out- MOL! I was expecting to see the treat dispenser shoot the treat across the room so you had to run for it. I guess that could get dangerous if someone is in the line of fire. That looks like a cool camera. We love the red dot feature. And WOW! It dispenses treats! Pawsome! That's about how much we play with the red dot. Except for Boodie - she actually likes it. I think we'd be more inclined towards the treat dispenser! Interesting but mum says she isn't interest since she is home now to play with me. Hope you are not all ice in and stuff. Pawsome camera. 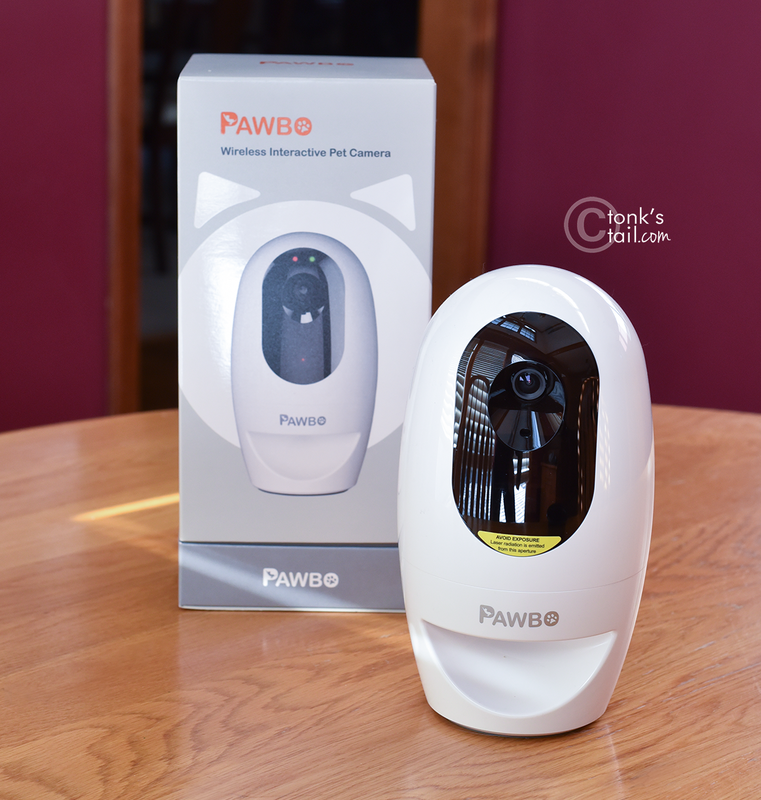 We have cameras that Mom can SPY on us with but none that are interactive. Mommy has been wanting to get a camera, and this may be a good choice! Thanks for the great review. That looks like a great camera and even better that it comes with a red dot and treats - they thought of everything! that is pretty cool! We would have to keep the woofies away from it here! 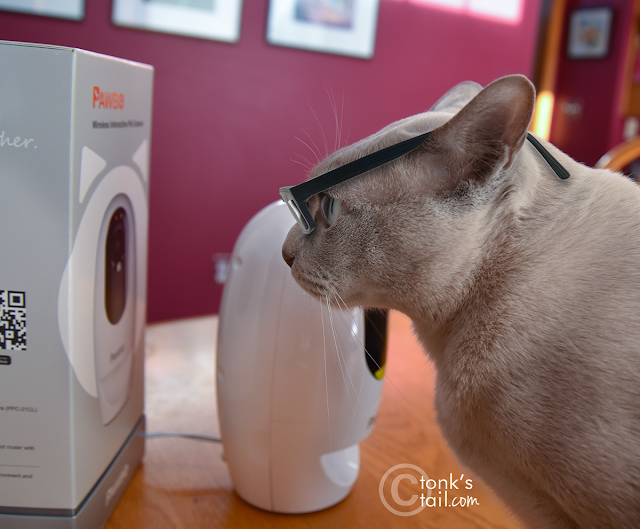 A camera, red dot and treat dispenser? All in one? Awesome! OMC!!! How cool is that!! Pipo could use exercise like that...MOL! Minko is too skinny to need more than the yummy treats but likely he won't eat them and Pipo or dog-guy would profit instead, MOL! !